Beat cream cheese in large bowl with mixer until creamy. Gradually beat in milk. Add dry pudding mix; beat 1 min. Gently stir in 2 cups COOL WHIP. Mix coffee and caramel topping until blended. 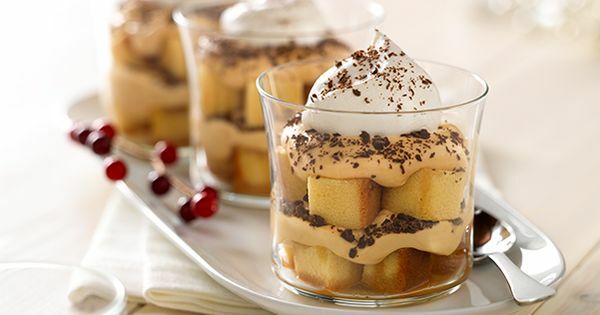 Place half the cake cubes in 10 parfait glasses; drizzle with half the coffee mixture. Cover with half the cream cheese mixture, then 1/3 of the grated chocolate. Repeat. Top with remaining COOL WHIP and chocolate. Refrigerate 4 hours.